CetoBeto is a Game to play online on Laptop or Phone. How to improve my score in CetoBeto game ? Refer your friends to join game, you will get more score to have a better rank. 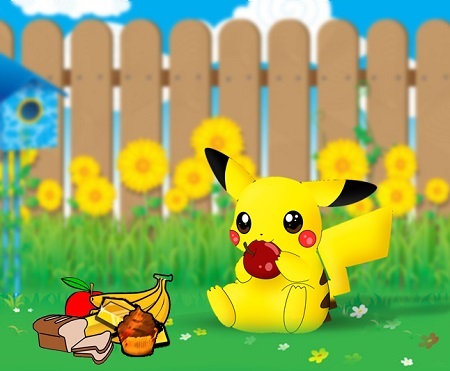 Pika is small pokemon you own, you have to feed it to do Attacks, and in result you get better score. What is Pokemon Ball ? Pokemon Ball helps you to catch new animals (pokemons) in result you can improve your score in game. How many pokemons can I catch ? CetoBeto now supporting up to 9 pokemons to catch. First, you have to Register and Login your game profile. After you login game, Verify your account by following steps there. Now you can change your Beto (pokemon) from here. First 2 Betos are available for free at the beginning of the game. Pikachu will always be available, beside of chosen Beto. Pikachu helps to Charge energy and increase your game score. however this is Optional command if you wish to increase your score better. By this time, you gather energy by your chosen Beto to keep your score rising. Remember to collect energy from your Beto at least once a day, this is needed to improve your score in game. At this point, and when you collect generated energy, you will get chance to win Foods or Poki Balls. Feed your Beto here to get your Beto stronger and healthy. When your Beto health is good enough, you will be able to do Attacks and win extra bonus. Poki Balls are useful to Catch new pokemons (Betos) from here to improve your score better. You win Poki Balls by chance during the game, and you always have a chance to win 3 Poki Balls daily. Keep your eyes at your Beto! If you find "Jessie" and "James" just kick them away. This tip helps to improve your score in game! Also it is good to keep your eyes at beach of Island. When you find Fish, catch them to win foods! You have more questions not listed here?